Avi has served as a hazzan for more than eighteen years. 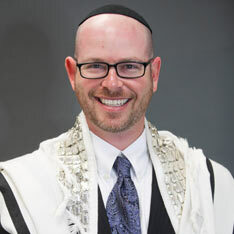 His posts have included Mosaic Law Congregation in Sacramento, Temple Beth Sholom in Las Vegas, and Congregation Bet Shalom in Tucson, Arizona, where he currently serves. Avi is known equally for his fervor and commitment to Torah, prayer, and Israel. He is a dear friend of Pastor Victor Styrsky who wrote about his relationship with Avi in his book, Honest to God.